With another new year creeping up, it’s hard to resist getting a few things organised for when it arrives. One of the things I like to get with plenty of time to spare is my new planner for the year. And that means getting it set up and ready to kick off from the 1st of January! A shiny new planner brings so many exciting opportunities and fresh starts! 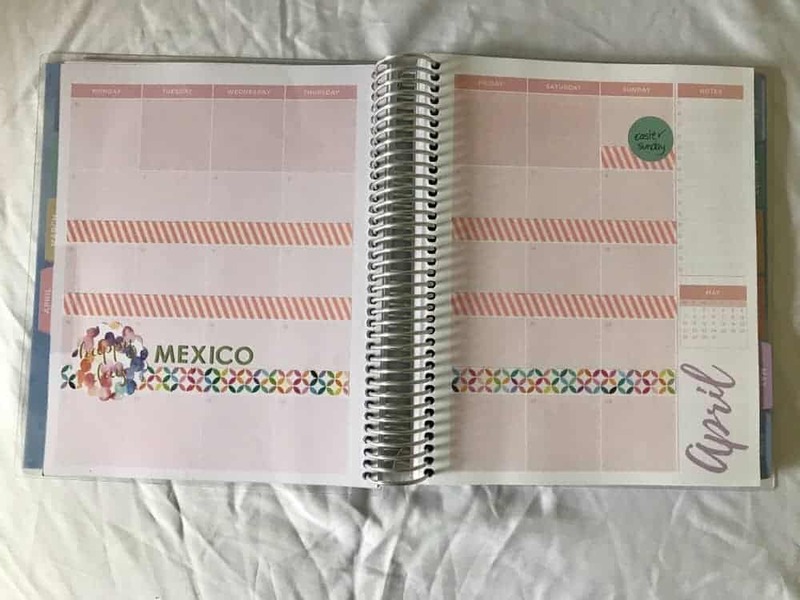 I normally choose an Erin Condren Life Planner, as they are so gorgeously designed and suit my needs quite well, however this year I am trying out a different planner from my local Officeworks store, with an hourly format instead, since my 2018 goal is to set office hours and work smarter, not harder! This is going to be quite a transition, so hopefully I can make it work to suit me. If you’re not sure what sort of planner to get, this planner guide will help you narrow down your choices and find one that is great for you! And then you are all set to start setting up your planner for the new year! Depending on your planner style, you need to have the right tools to get yourself set up. If you are a simple kind of gal, just having the right pens is going to be the main priority. But if you are a bit of a glam planner, you may want to invest in a few other new accessories, or raid your existing collection before you start. Personally I love erasable pens as I hate having to cross things out. I have several different colours to allow me to colour code my different sections or types of entries in my planner. Although I don’t always stick to my colour code. Sometimes it’s just the first pen in reach! Oops. Washi tape is my second must have as I find it to be a really neat way to mark out holidays and events. And of course stickers, post its and other cute functional items are my other must haves. Yes having a pretty planner is fun, but in the end the main goal is to help you stay organised though! Once you’ve got all the planner basics, it’s time to open those crisp new planner pages and get to work! 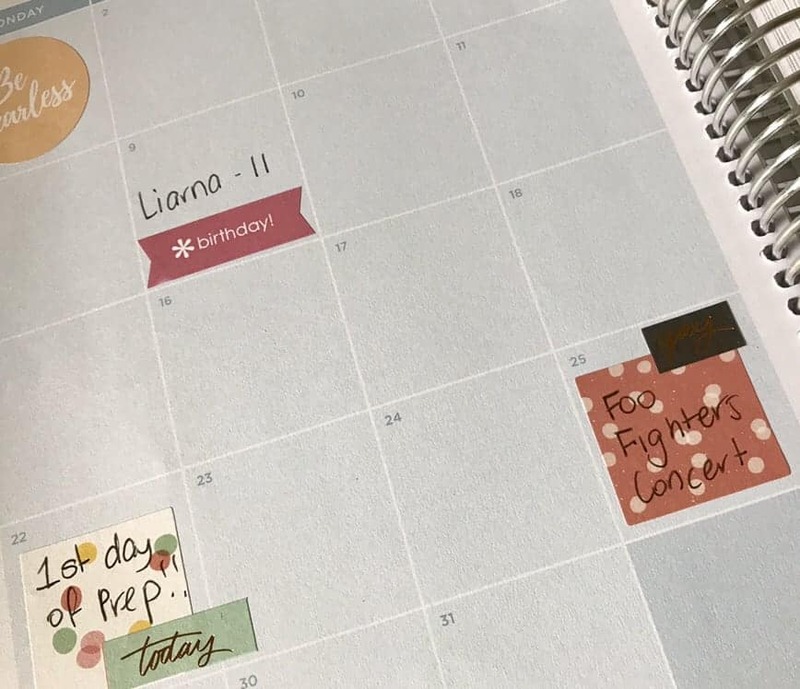 I also like to go ahead and add birthdays to my monthly calendar spreads and also on my daily pages as well as having them in all 3 places means I can know what’s on when, no matter which format I am viewing at the time. It really helps to plan ahead. You may also want to add in public holidays as well, based on where you are located. And any other important events or dates you know of already for the new year (weddings, parties, conferences etc). If you have school aged children, marking out the school terms is definitely a must do! I have used washi tape to do this in my planner, on the month view page only. This is a neat way to block the weeks. And washi tape doesn’t require any scissors to cut. I just line up my washi on the lines and then line up my ruler along the edge I need to tear off and it creates a perfectly straight edge. I have done this with both the school holidays for the year based on our local term dates, and also with the holidays we have already booked in for the year. One of the ones I have added in is a surprise for hubby’s birthday so it’s a good thing he doesn’t typically look in my planner!! Eeekk! 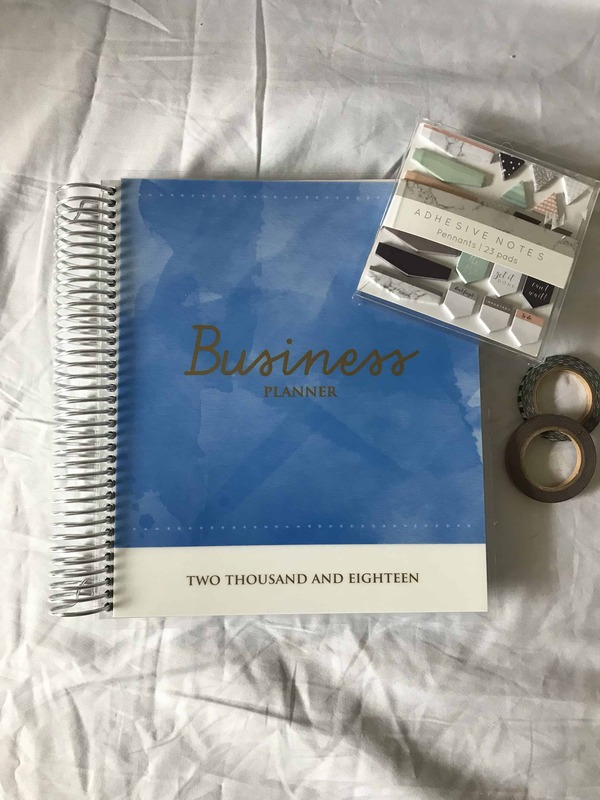 My planner is a business planner and it comes with sections focused on business goals, marketing planning and monthly goals, which is fantastic for me! I work in direct sales and each month I set sales, team and personal goals around my business. 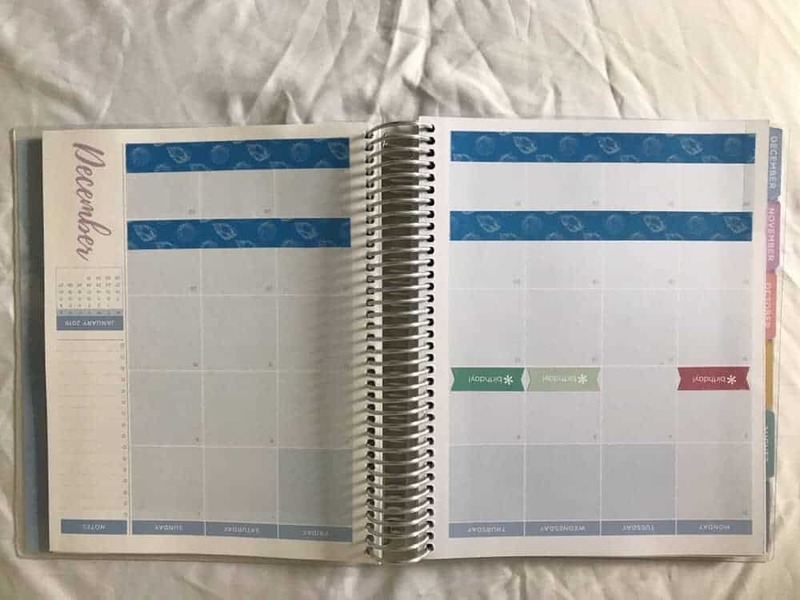 If your planner does not already have sections for this, you may wish to add them in somewhere where you have some extra space for each month, perhaps on a blank page or in a notes section down the side of your monthly planner pages. If you are a goal setter, there’s no better way to start the new year strong than identifying and setting out your new year goals! And there is truth to writing down your goals makes it more likely you will achieve them. It makes us more accountable to our actions, and better still, it gives us a place to refer back throughout the month to see how we are tracking!! So add those goals in! 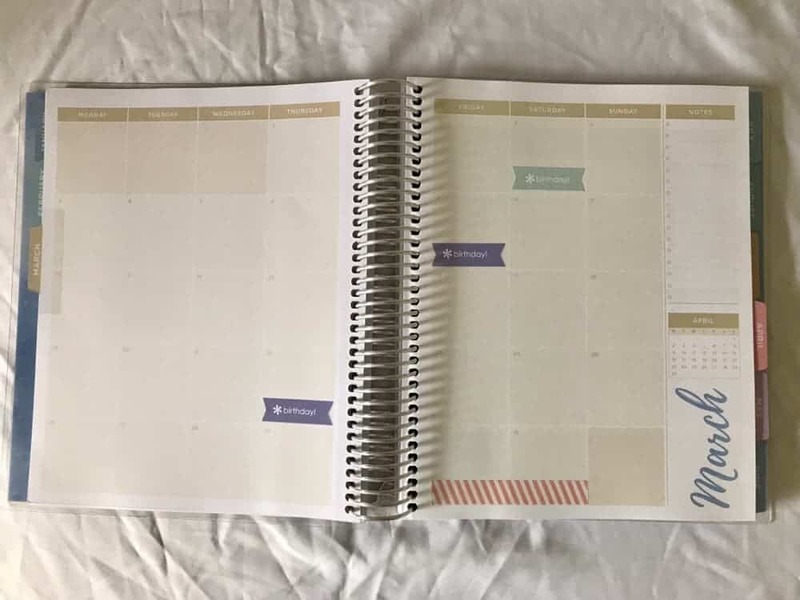 Many people use their planner to record important day to day activities as well such as planning out the meals for the week or keeping track of how many glasses of water or how many steps you did that day. 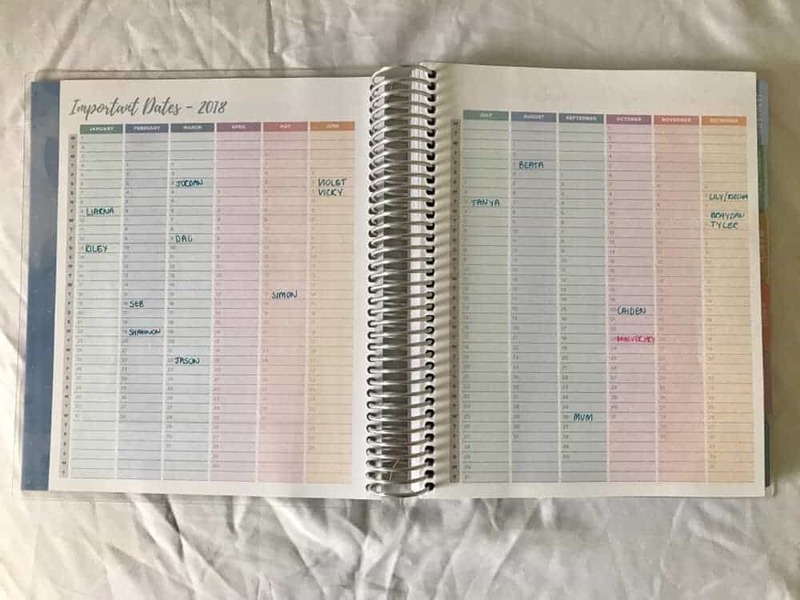 If this is something you would like to do in your planner, it will save you a lot of time in the new year if you do this in bulk now instead of week to week. 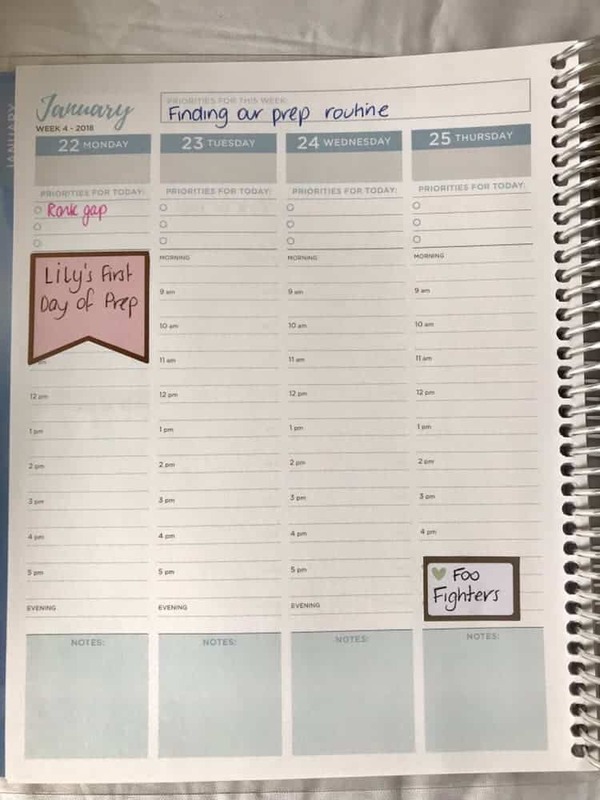 There are so many functional stickers available to assist with this if you aren’t so keen on just writing them into your planner in the spaces you have. Etsy is my favourite place to source stickers but there’s plenty of freebies online if you search too. Or maybe get creative and make your own! For me, meal planning and steps tracking is something I want to keep track of each week so I will be adding these into my pages at least a month in advance to remind me to action them each day! Other things you may want to track on a daily/weekly basis are exercise, servings of fruit and veg, savings/budget or weight loss. The options are endless. If you have a contact section in your planner, and you wish to utilise it for important phone numbers and email addresses, again this is helpful to do when setting up your planner for the new year before the year starts. 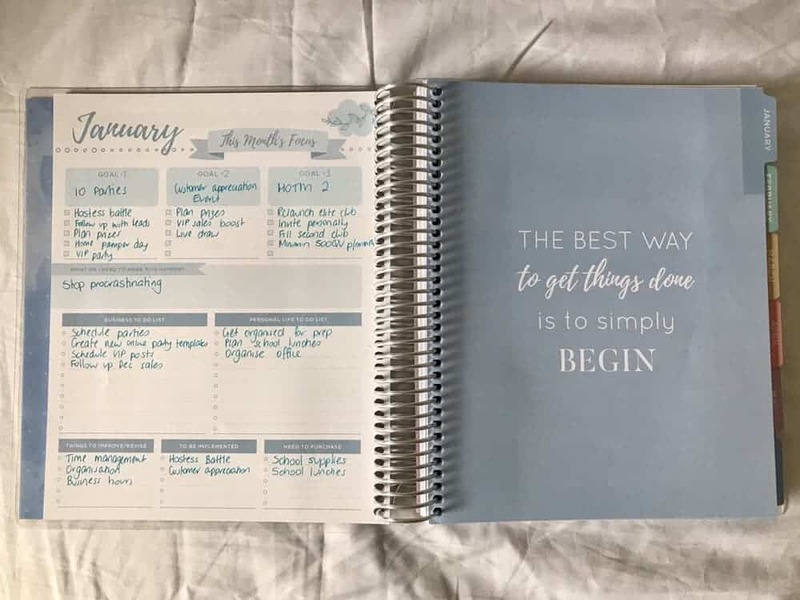 Even easier if you have an older planner that you can copy straight from! This isn’t something I would utilise, nor does my new planner have a space for contacts either. And of course, something that you must not forget to do is fill in the contact info section at the front of your planner ASAP. Just remember, for most of us, our planner is our entire world so if we lost it, we would be a bit lost. Make sure your planner can easily find it’s way back to you by filling this info in on day one! Hopefully these steps will help you get organised with setting up your planner for the new year, and of course, inspire you to have your best, most simplified year yet! What type of planner are you using for 2018? That’s far more organised than I am with my diary 🙂 But I also don’t have that much to organise thankfully. Inspiring! I have the most beautiful planner and mini planner and no idea where to start… but desperately need the organisation in my insanely busy life. These tips are so helpful!!! I’ve got a new type of planner for 2018 which I will use just for writing and personal stuff and not for my day job as a psychologist. It’s different to previous planners like Filofax and more like the one you have. I love how creative you are. I will look into washi tapes and more colourful stuff as I love things that stand out.